Discover why we have such a strong reputation for exceptional auto repair, maintenance and air conditioning in Phoenix, AZ, when you bring us your car for auto tune ups! From minor repairs to complete engine rebuilds, our auto technicians provide you with the highest quality service. Learn more about our part replacement and vehicle repair service in Phoenix, Arizona. Don't take the risk of ignoring your check engine light. Instead, bring your car to Autocare Air Conditioning and Autorepair Inc. for computer diagnostics. When temperatures rise this summer, you're going to need to cool down in your car. Find out more about our autocare air conditioning services. 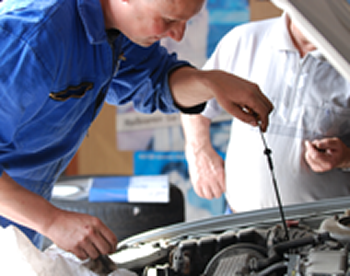 To receive the best auto service, auto maintenance, auto tune ups and repairs, visit us in Phoenix, Arizona. Discover why we have such a strong reputation for exceptional auto service, auto tune ups and repairs when you take your car to Autocare Air Conditioning and Autorepair Inc. in Phoenix, Arizona. With more than 20 years of experience, our Automotive Service Excellence (ASE)-Certified technicians keep your car in its best shape. We don't only give your vehicle the finest services; we treat it to the finest products from brands such as Moog™, Monroe™, and Napa™. This commitment to quality has earned us an A+ rating with the BBB, and high ratings from Angie's List™, Google™, and Yelp™. With our low prices and outstanding work ethic, we are the leading car service business in the Phoenix Area. Find out the difference our personalized service makes next time your vehicle needs auto maintenance, repairs or air conditioning service. Monday – Friday, 7:30 a.m. – 5:00 p.m. | Saturday, 8:00 a.m. – 1:00 p.m.